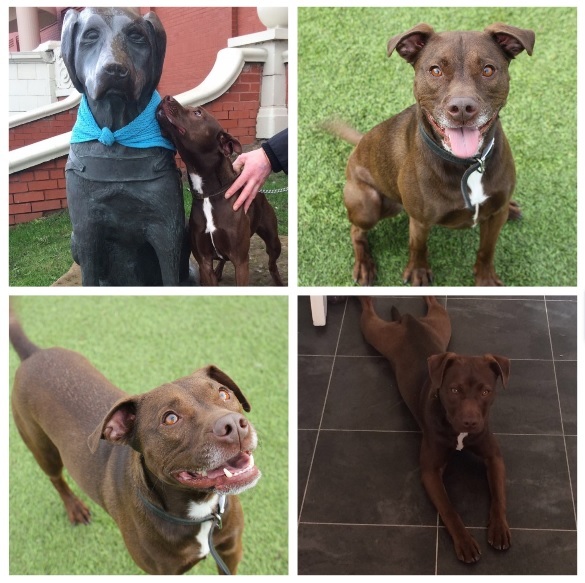 Benji is a 3 year old male Patterdale Terrier cross Staffordshire Bull Terrier. 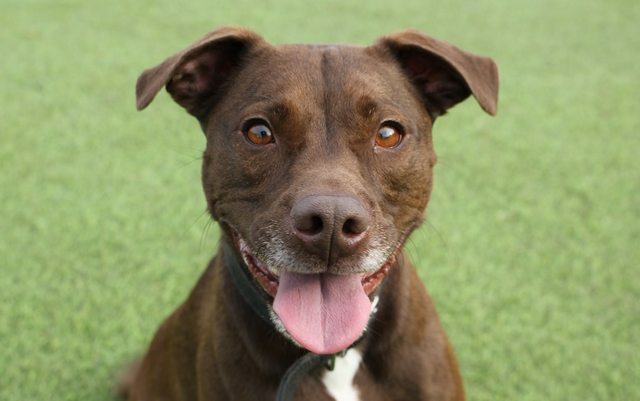 Beautiful Benji is sadly looking for a new home due to his owner’s long work hours. Benji is a fantastic, dinky little boy who is very active and outgoing. 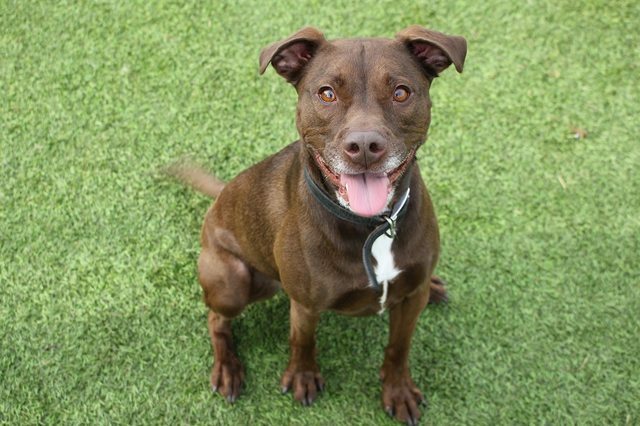 He has the most beautiful chocolate coloured coat and deep hazel eyes – his photos do not do him any justice! Benji would make a brilliant family dog, he currently lives with two children aged 11 and 14 and has always been friendly around younger, visiting children. However as he is a little live wire we are looking for a home where any children are over the age of 10. Unfortunately Benji is not good with other dogs and can be reactive on the lead. However when introduced slowly he has made several doggy friends in the past so does have potential. He does not like cats and will need to be the only pet in the home. Benji does have a Luxating Patella (floating knee cap) in one of his back legs but his current vet feels he does not require any treatment for this as it does not cause him any problems. This is something that will need to be monitored in the future however as it can sometimes cause arthritis. Benji will need an active home with someone around for most of the day. He is an affectionate, playful boy who loves company and will make a smashing addition to the home.